The official release iOS 11.2 appears to be right around the corner. 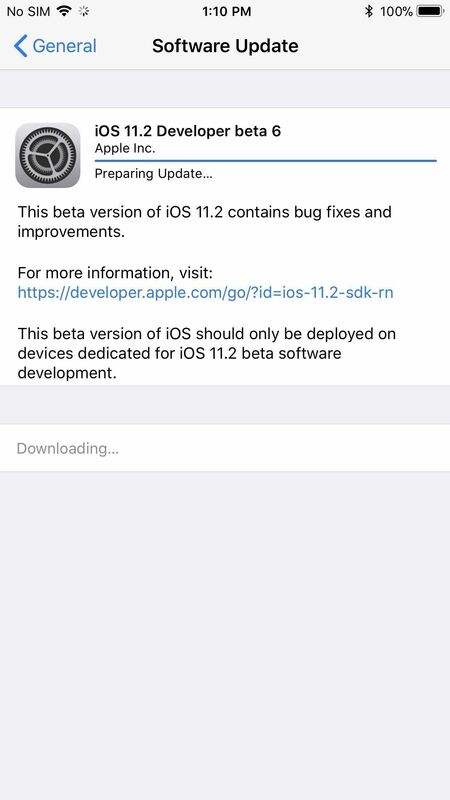 Apple seeded the sixth beta of iOS 11.2 to both developers and public testers on Friday, Dec. 1, just three days after beta 5. As with the fourth and fifth versions of the beta, no major changes are found here — but this one actually means something. 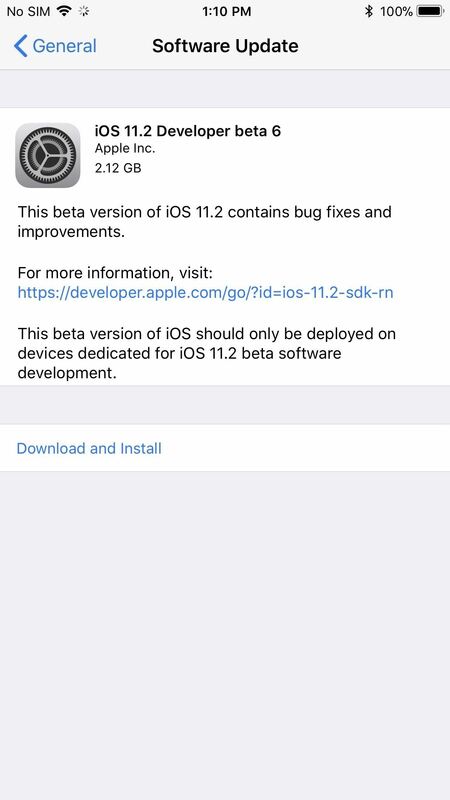 Whether you are a developer or public beta tester, to get the update, simply jump over to Settings -> General -> Software Update on your iPhone, then follow the on-screen instructions to begin downloading and installing the update. While no major changes to the software appear to be present in this update, the file is significantly larger than the last beta version, coming in at over 2 GB, depending on your iPhone model. For reference, iOS 11.2 Beta 5, released Tuesday, Nov. 27, was only around 45 MB, give or take. When you couple the update's file size with the fact that non-major iOS betas never go past seven versions, it seems very likely this is the iOS 11.2 Gold Master. If that's the case, the next update might just be the official release of iOS 11.2, which we can expect to see next week if everything goes well. iOS 11.2 brings quick wireless charging support to the 2017 iPhone lineup, as well as a Control Center swipe indicator for iPhone X. All iPhones can expect a bug fix to the Calculator app, pop-up alerts for Wi-Fi and Bluetooth in Control Center, support for Apple Pay Cash, as well as new wallpapers and tweaked emojis. You can find all new changes and features in our iOS 11.2 roundup.